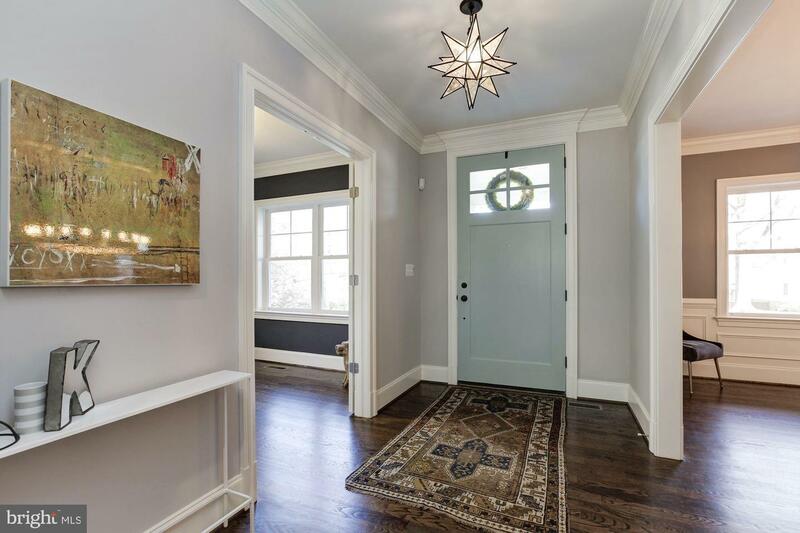 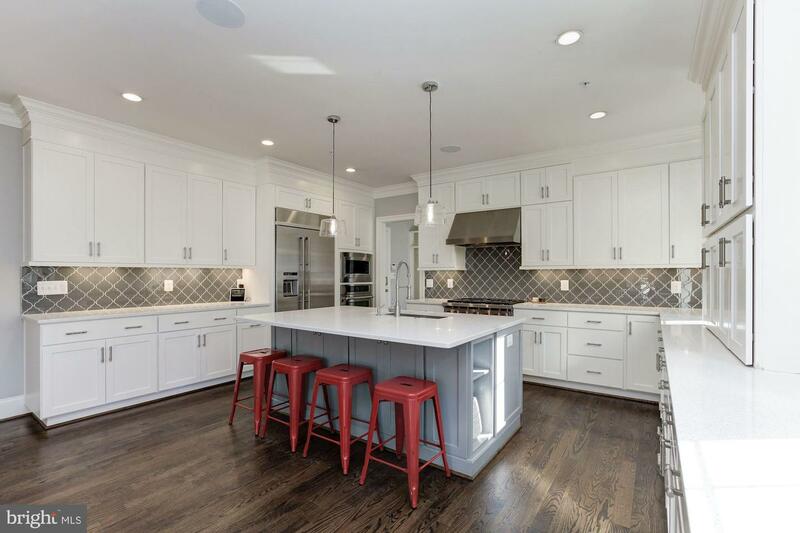 Picture perfect Arts & Crafts home built in 2014 by award winning Castlewood Custom Builders. 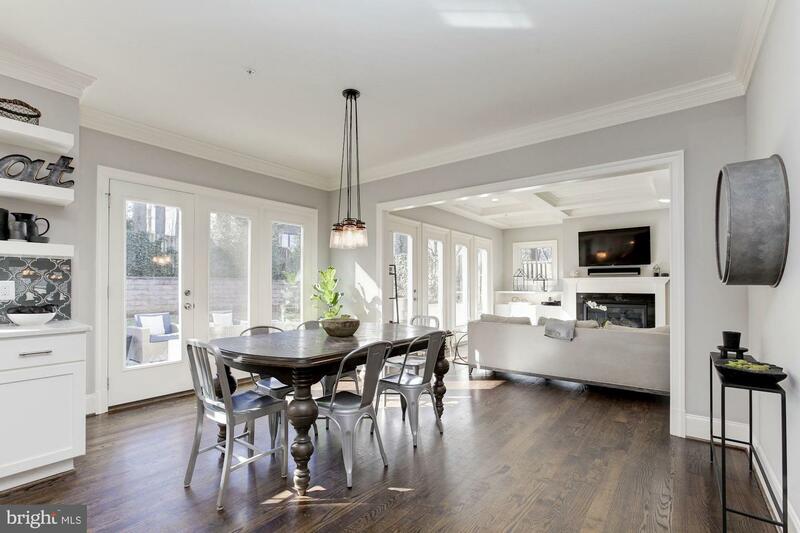 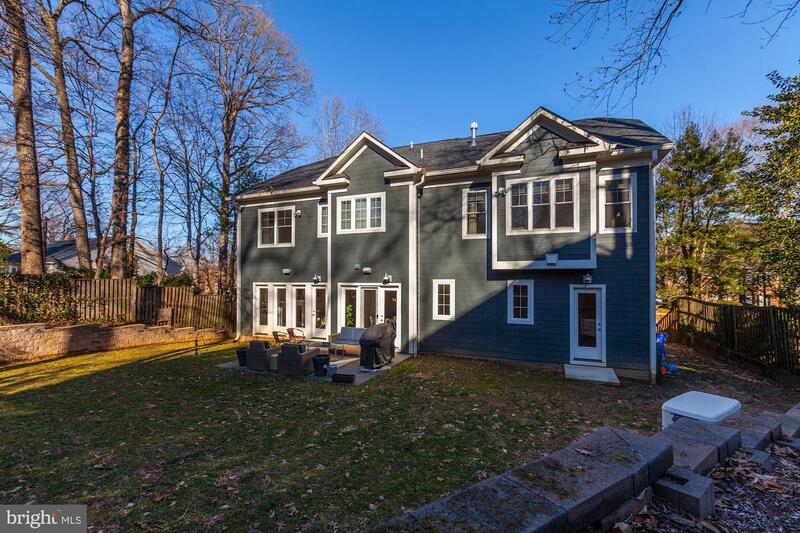 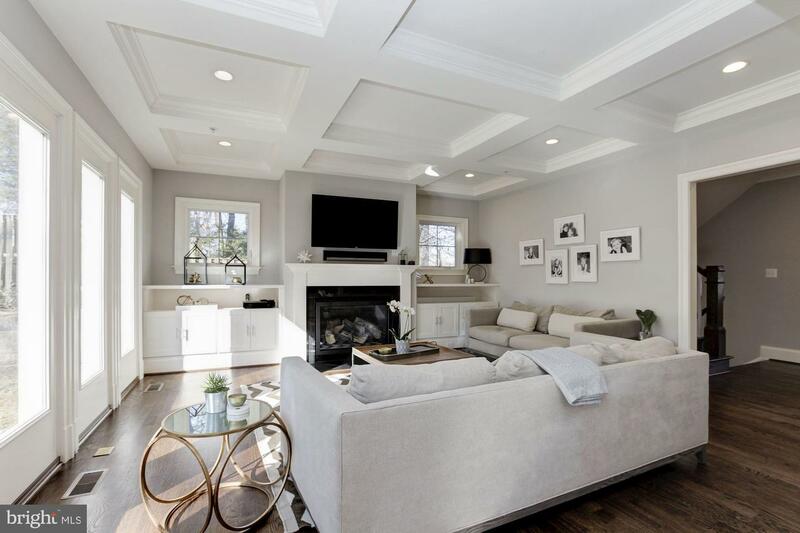 This home features three luxurious levels with six bedrooms and four and one-half baths. 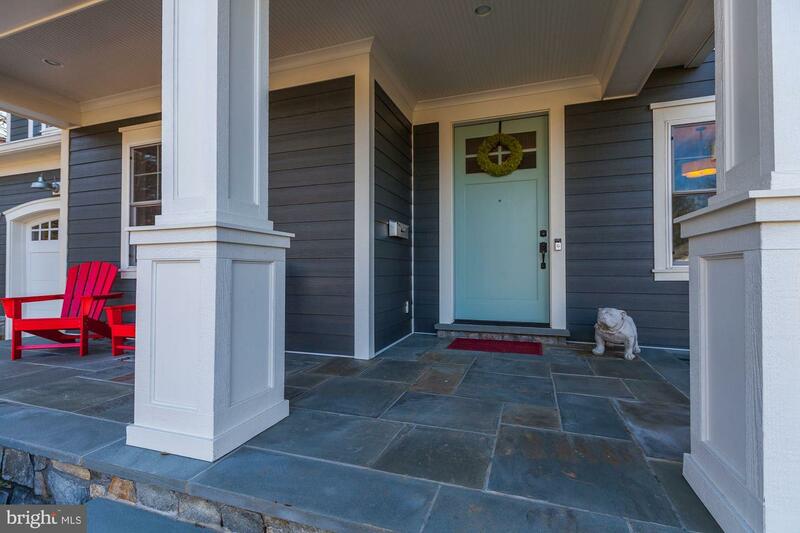 Guests are welcomed with a beautiful flagstone front porch and tiffany blue front door. 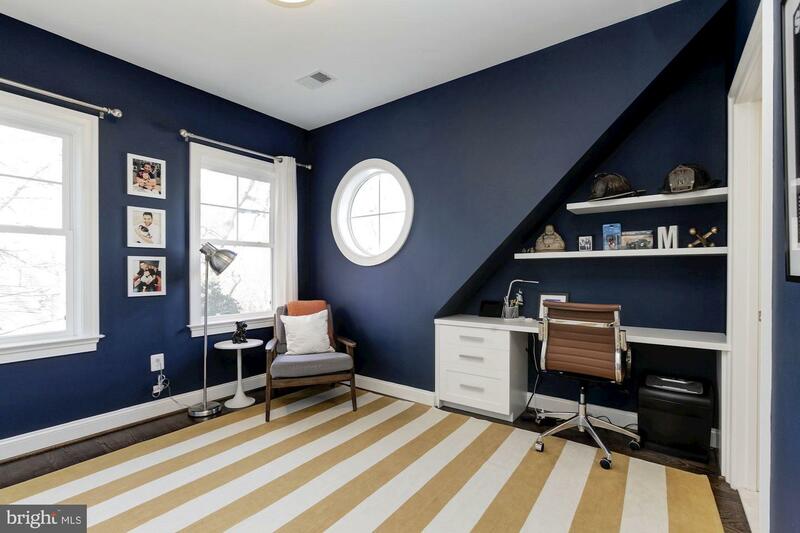 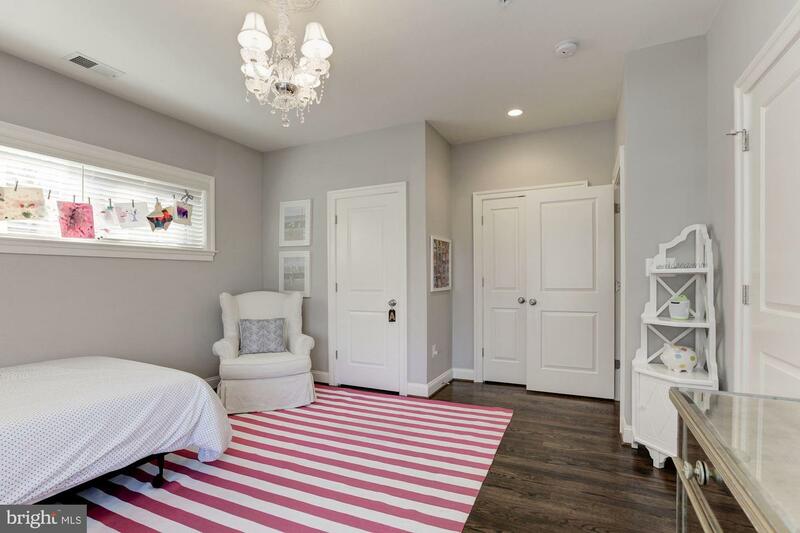 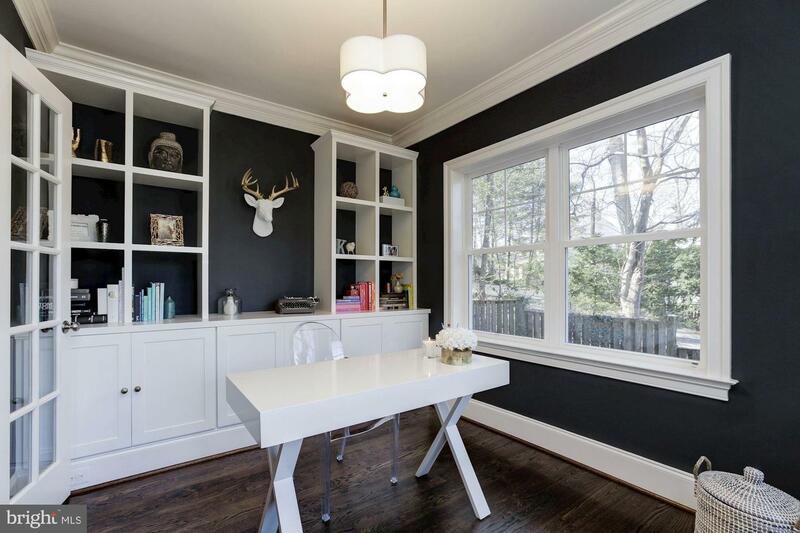 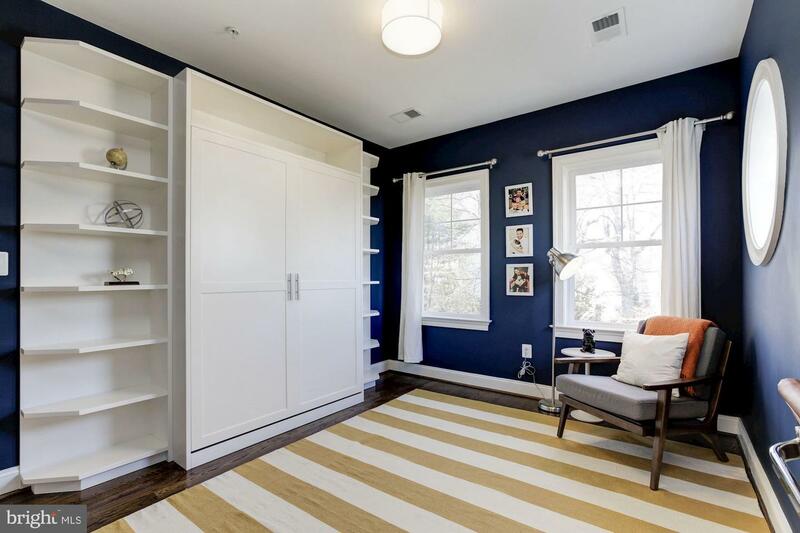 The first level includes a home office with custom built-ins complemented by Anthropologie hardware. 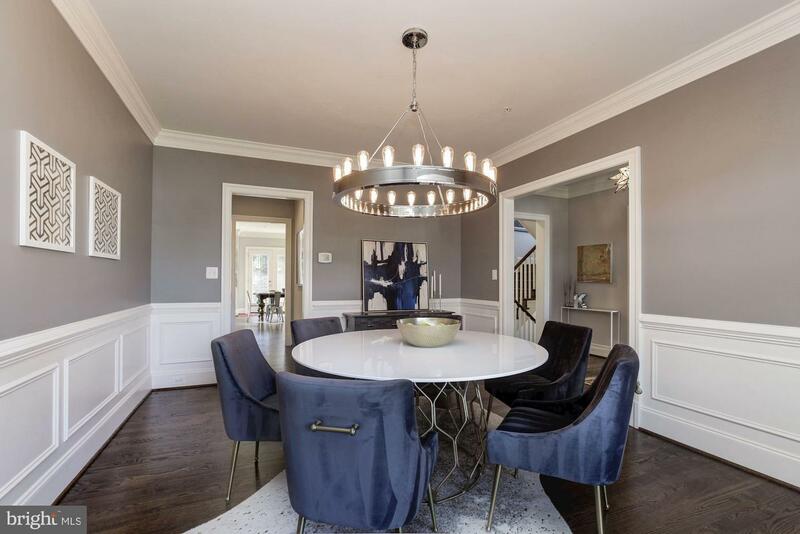 An elegant dining room with classic wainscoting moldings is perfect for entertaining and family gatherings. 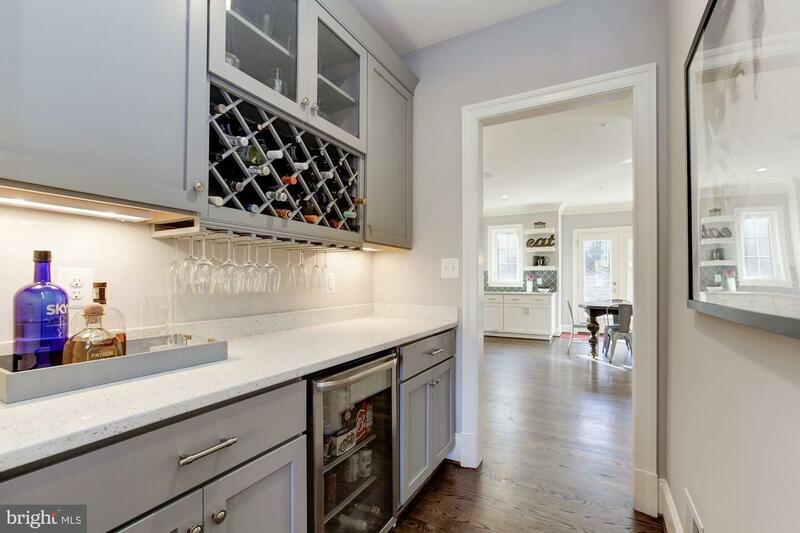 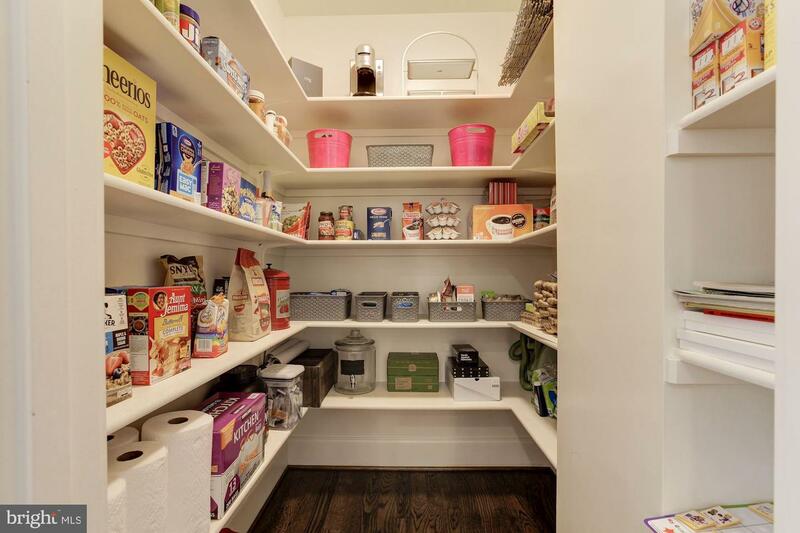 A butlers pantry complete with beverage center and built in wine storage leads to the stunning chefs kitchen. 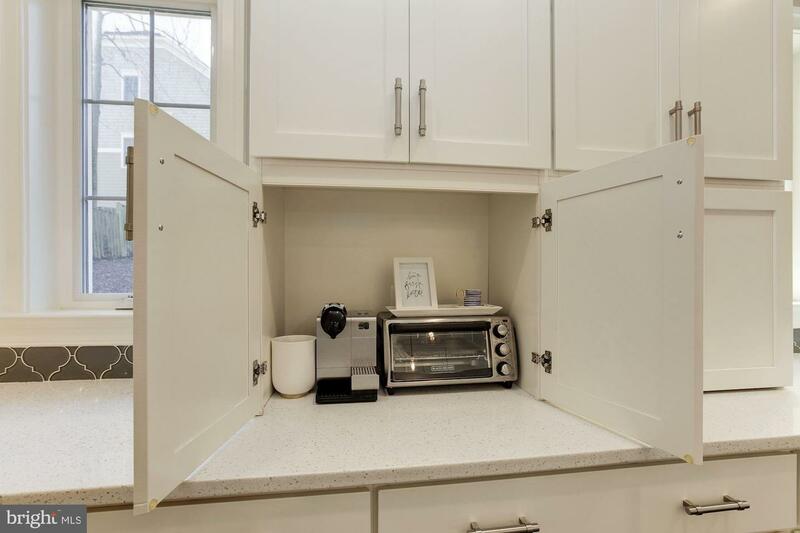 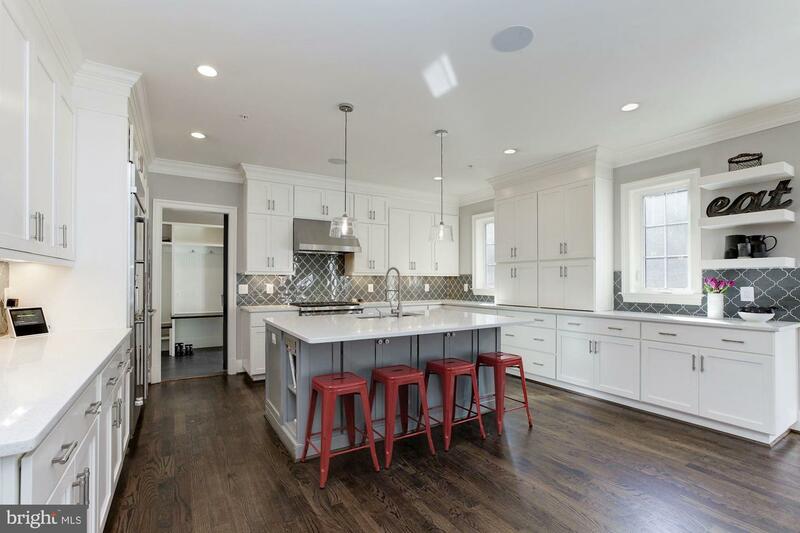 The expansive kitchen features custom white cabinets, quartz countertops, glass tiled backsplash, Jenn-Air and Wolf appliances, floating shelves, under counter lighting, an appliance garage, island seating, and a walk-in pantry. 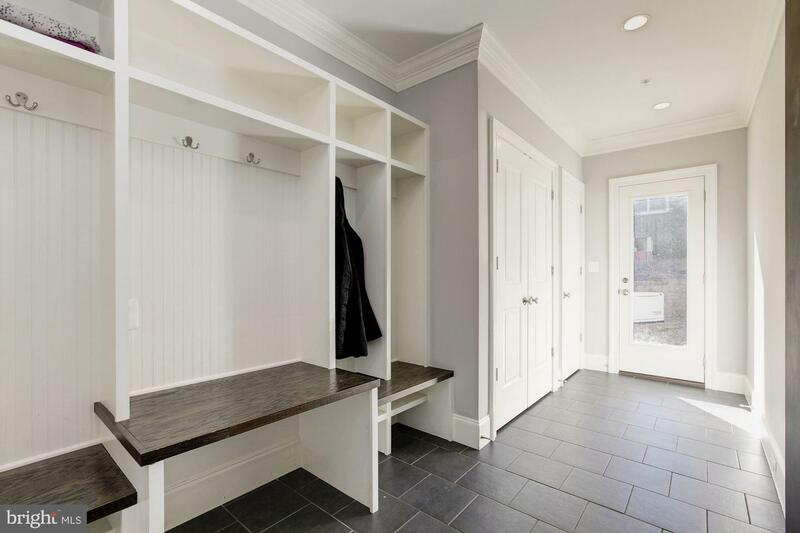 A chalkboard barn door reveals the oversized mudroom with built in storage for shoes, coats, and more. 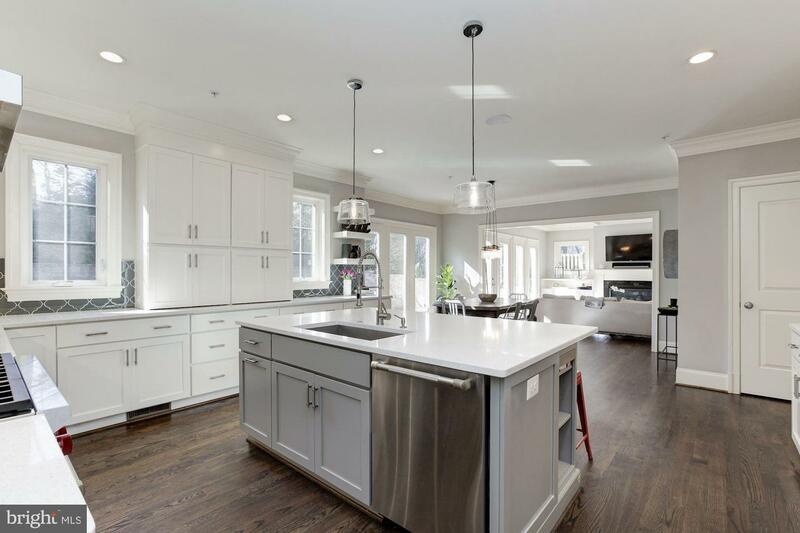 The chef~s kitchen is open to the breakfast area and family room. 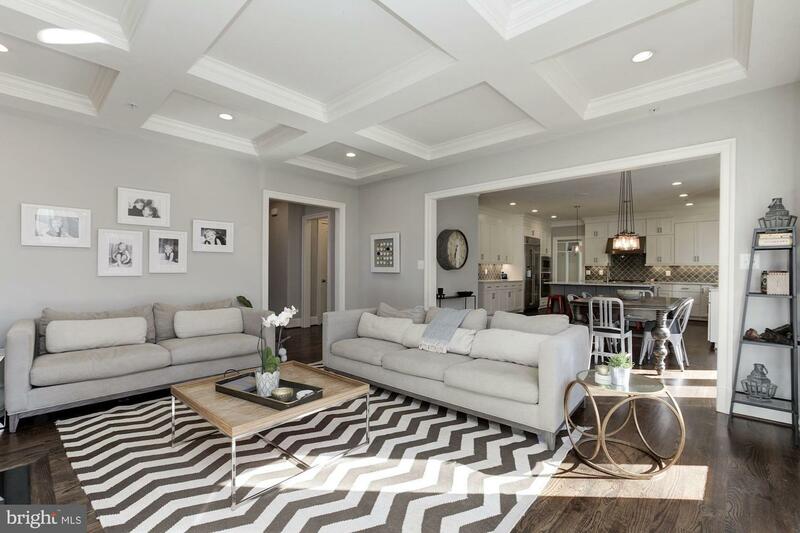 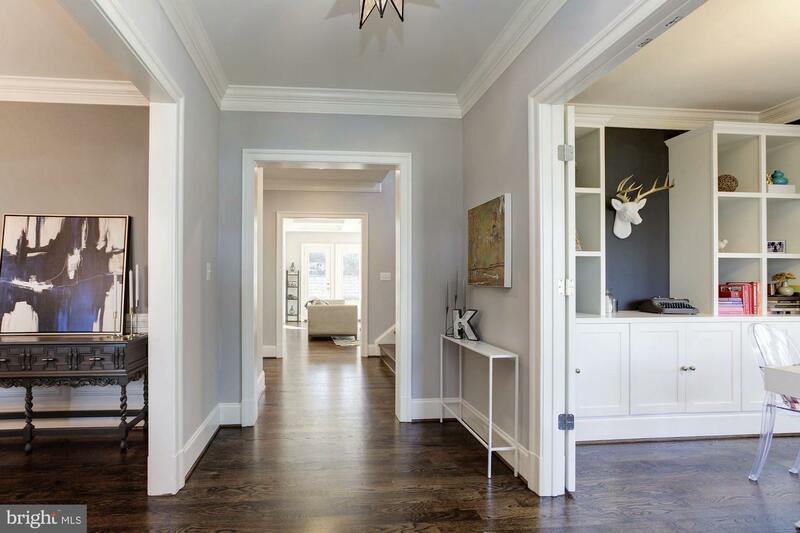 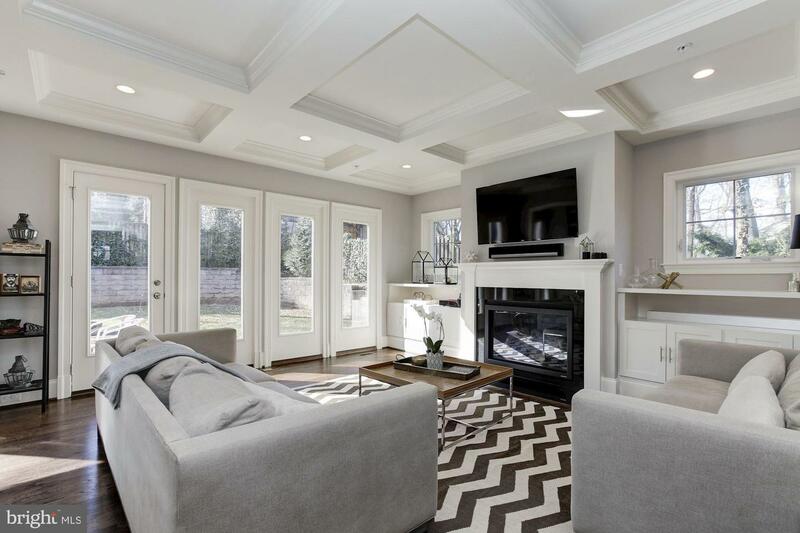 The family room features custom built-ins, gas fireplace and a coffered ceiling. 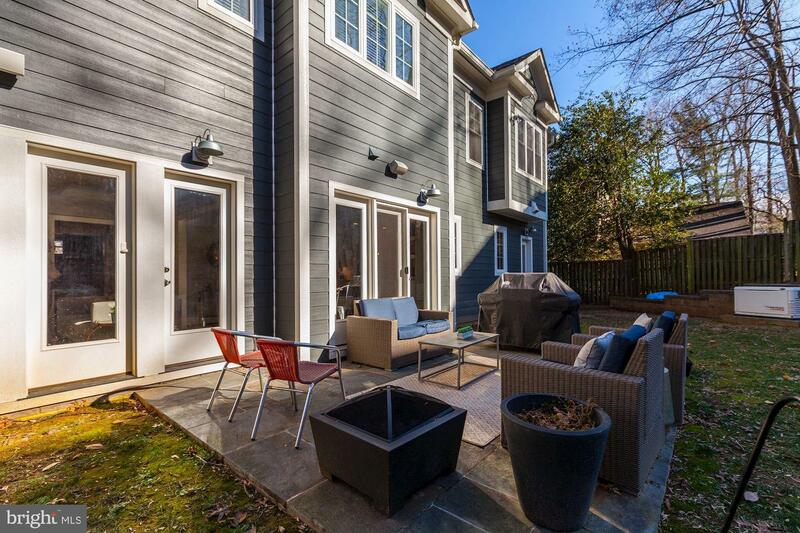 French doors from the family and breakfast area lead out to the beautifully landscaped flat, fenced backyard with flagstone patio. 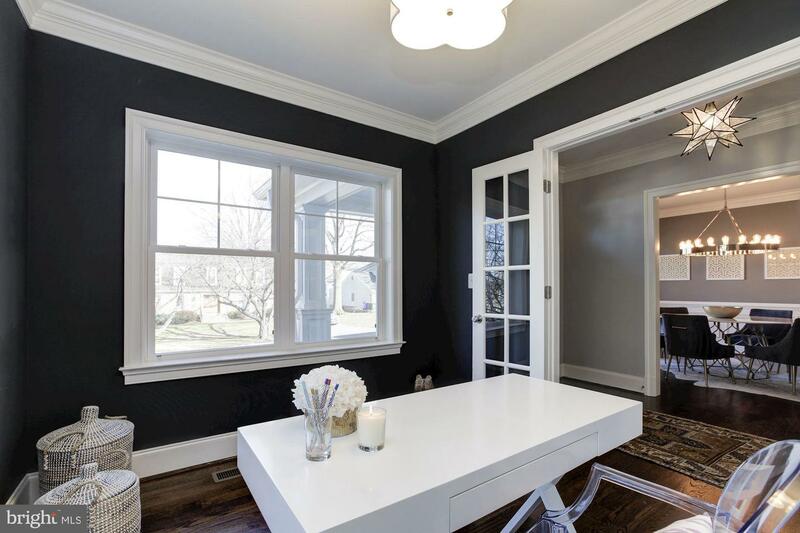 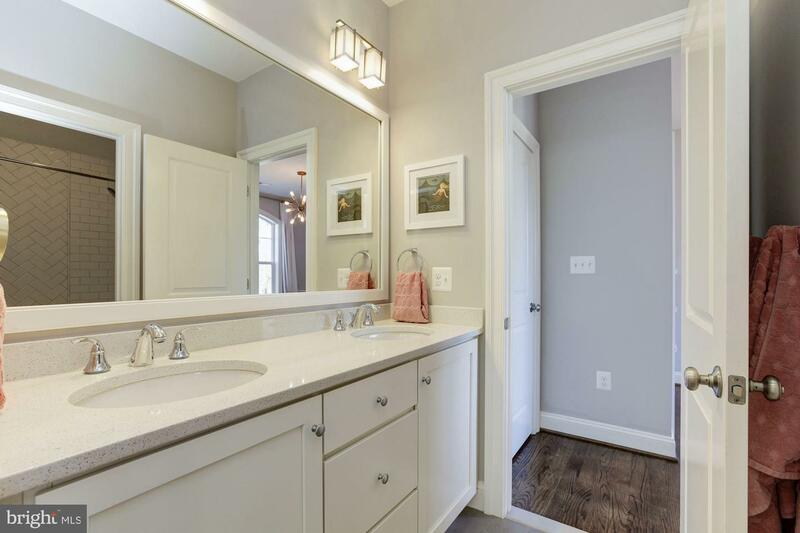 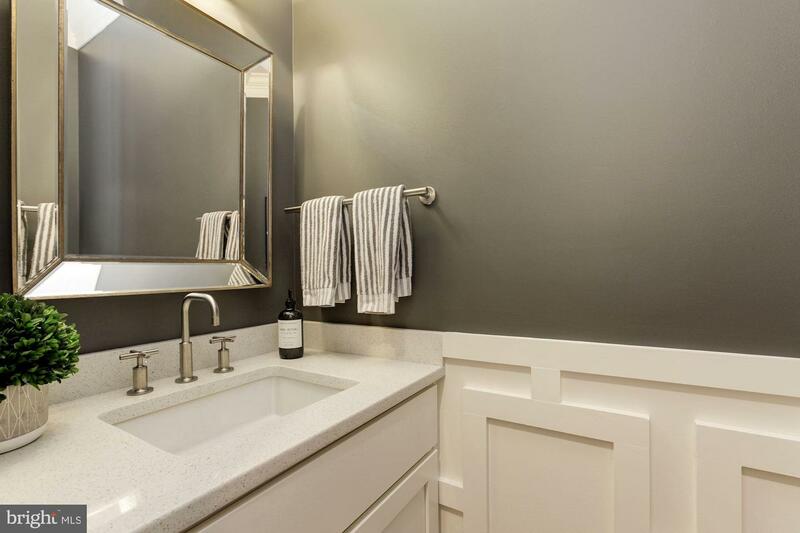 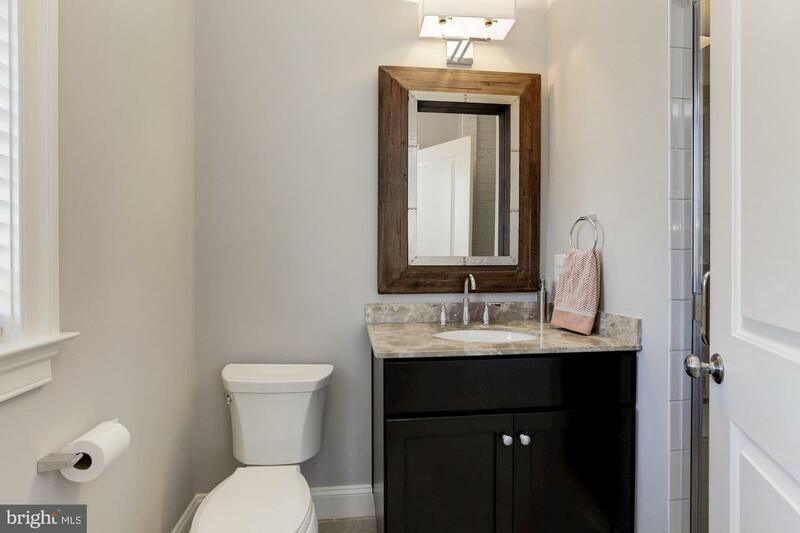 A powder room with custom wainscoting and Kohler fixtures finish the first floor. 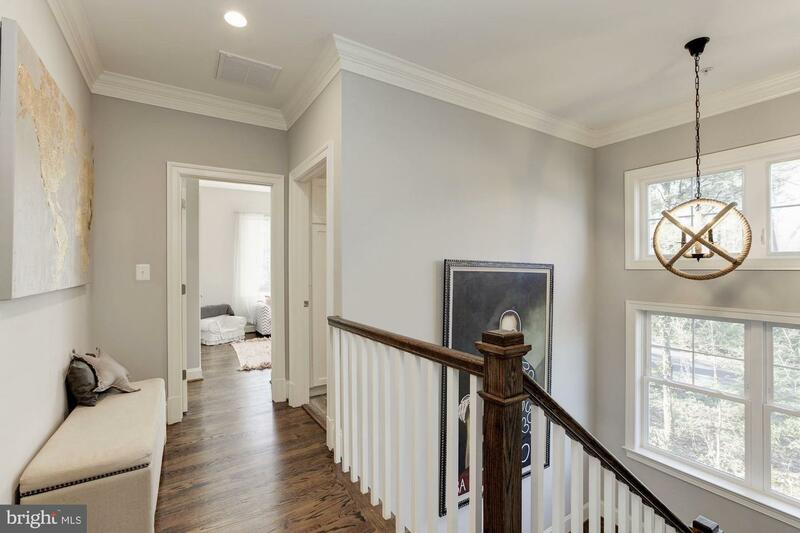 A light filled side staircase leads to the upper level. 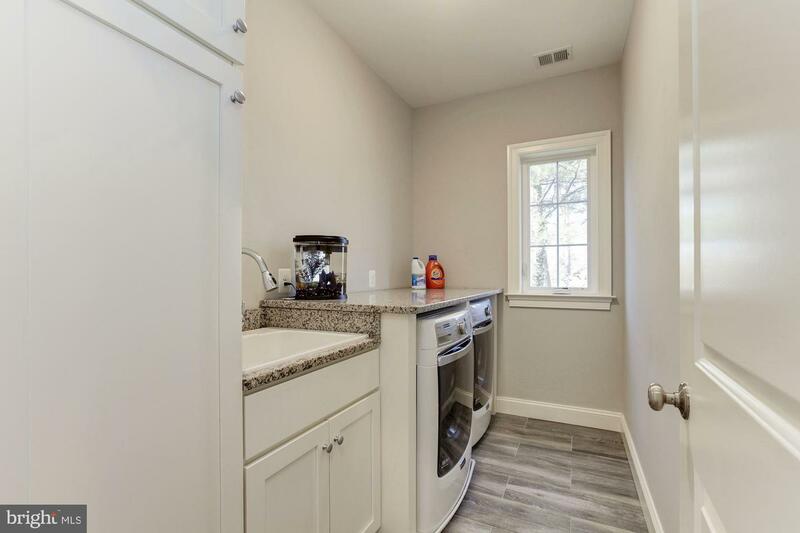 The second floor boasts hardwood floors throughout, five bedrooms, three bathrooms and laundry room. 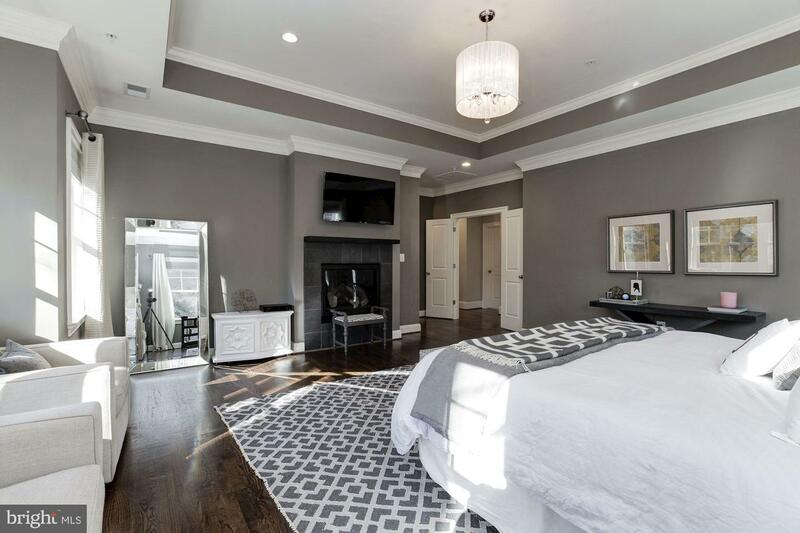 A luxurious master suite features a gas fireplace and beautiful tray ceiling. 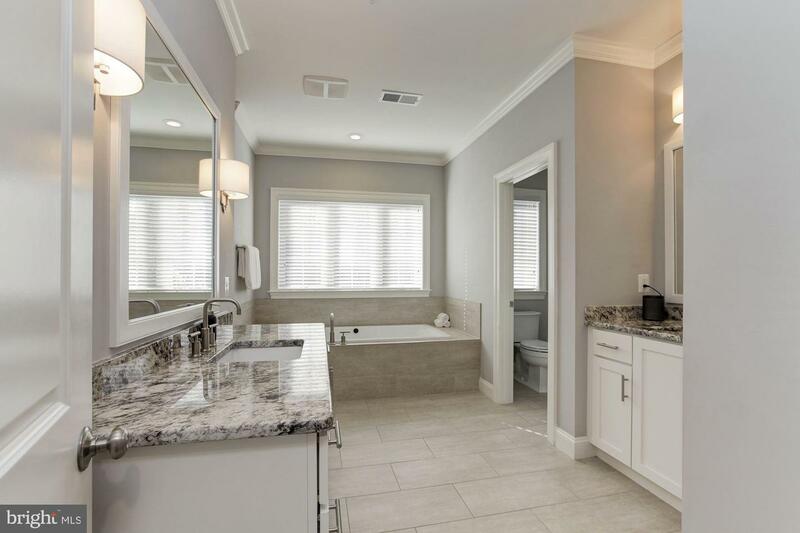 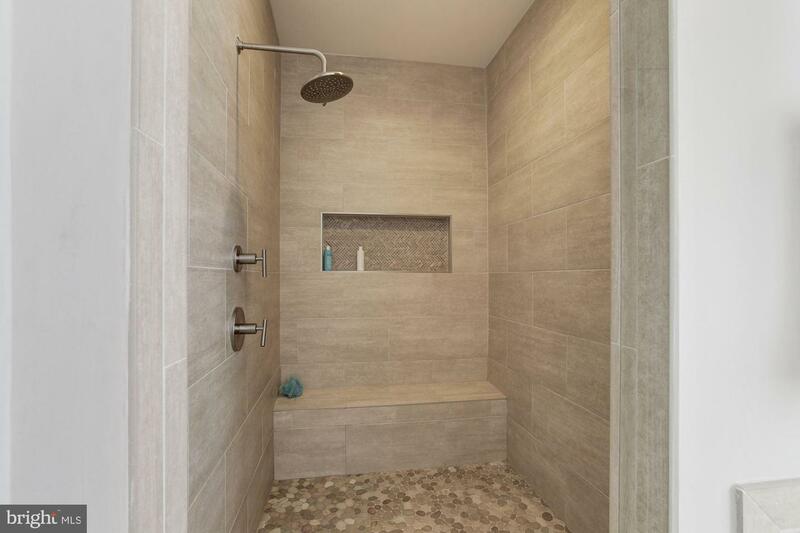 The spa-like bathroom provides Kohler fixtures, his and hers vanities, soaking tub, and large shower with frameless glass enclosure. 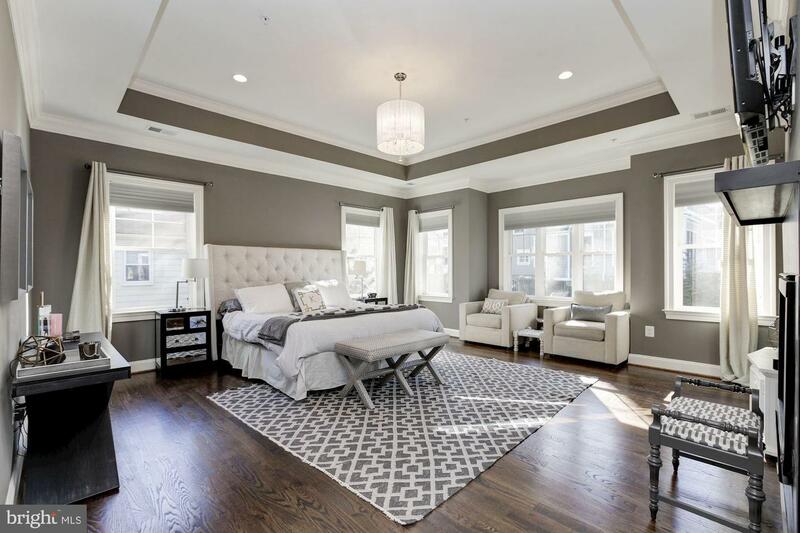 Two expansive walk in closets with custom built-ins and linen closet are located in this sumptuous master suite. 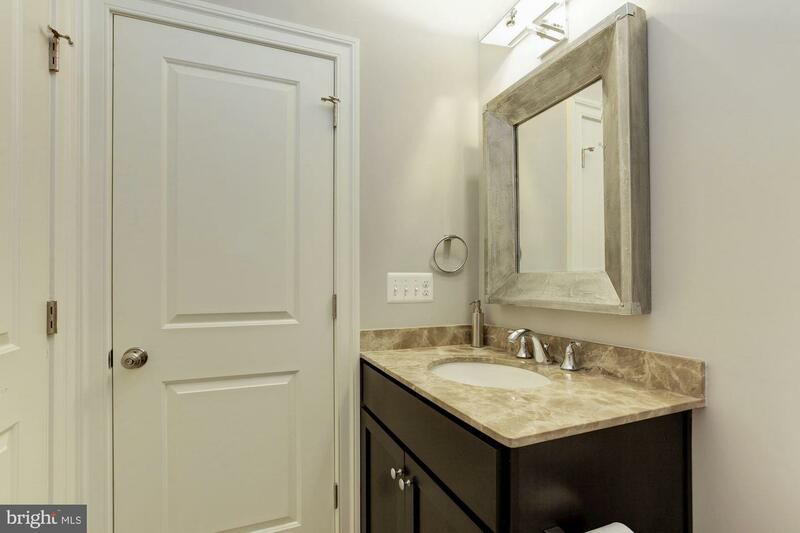 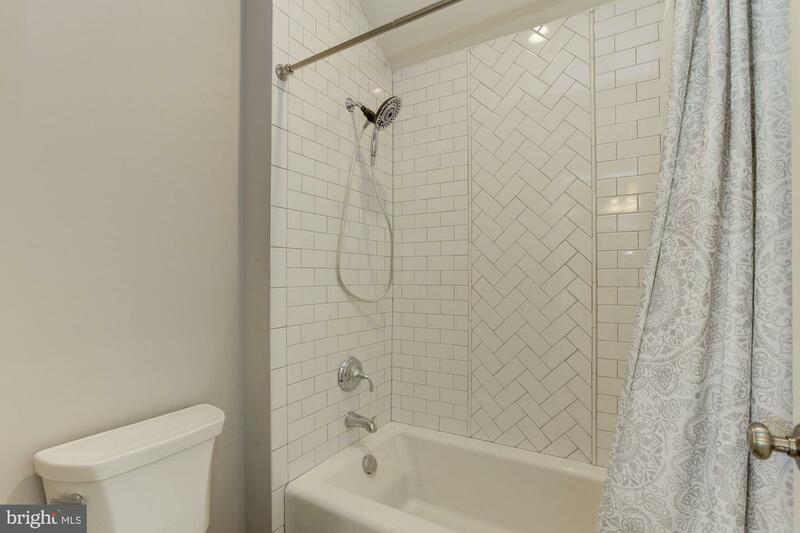 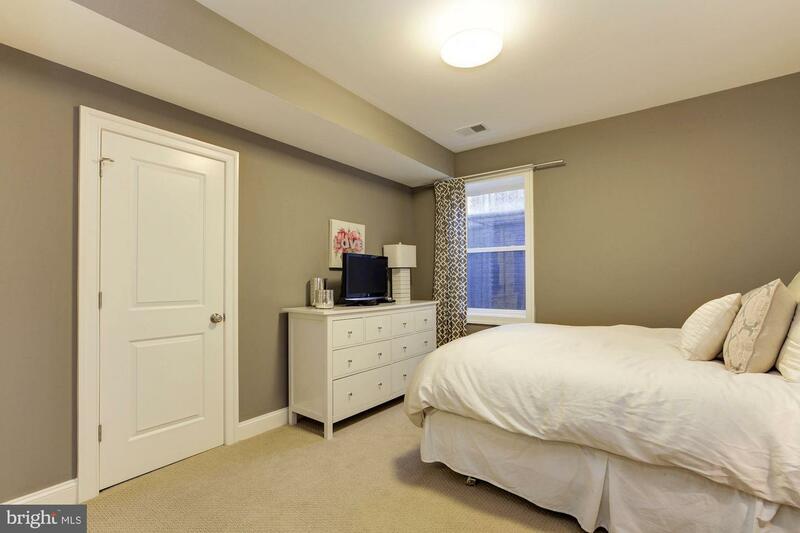 In addition, the second floor provides two bedrooms, both with walk-in closets, which share a Jack and Jill bathroom. 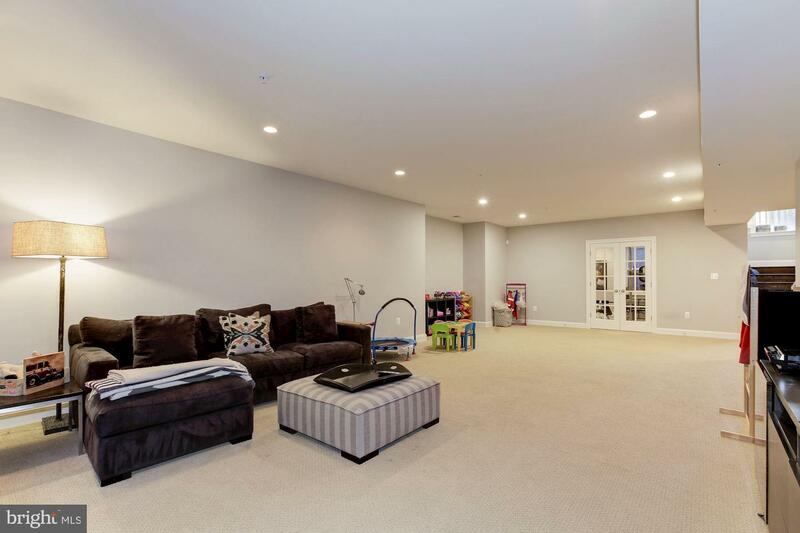 An additional bedroom with ensuite bathroom and playroom (or additional bedroom) are located on the 2nd floor of this beautiful home. 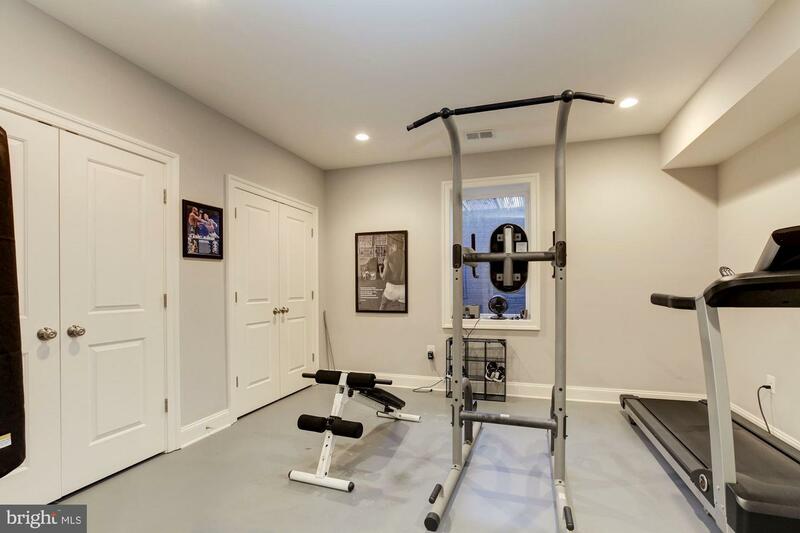 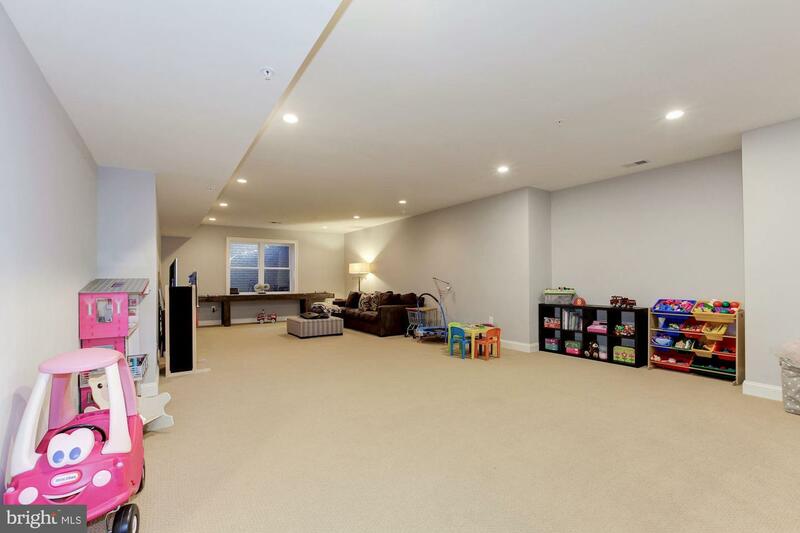 The basement provides an enormous recreation room, gym, sixth bedroom with ensuite bathroom and oversized storage area. 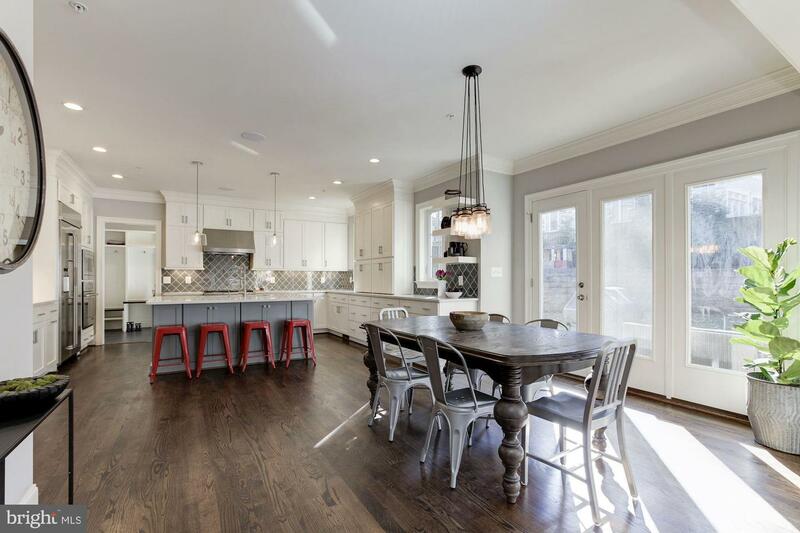 An attached two-car garage and generator complete this gorgeous home. 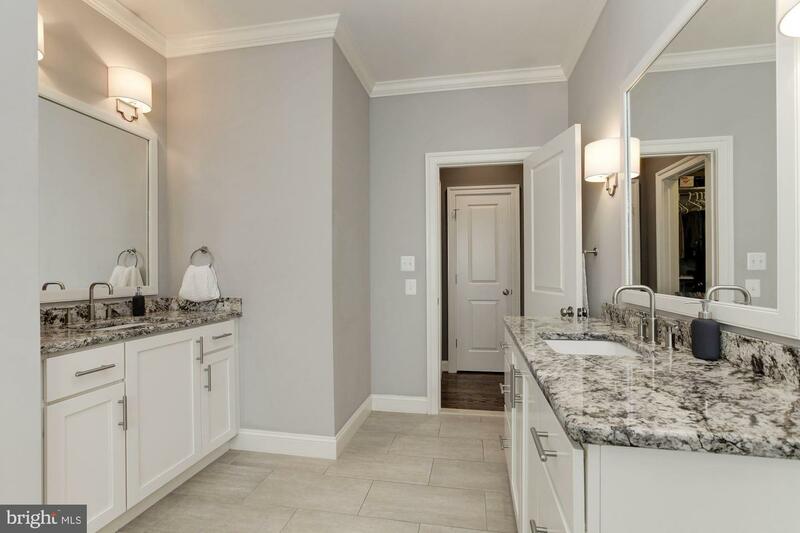  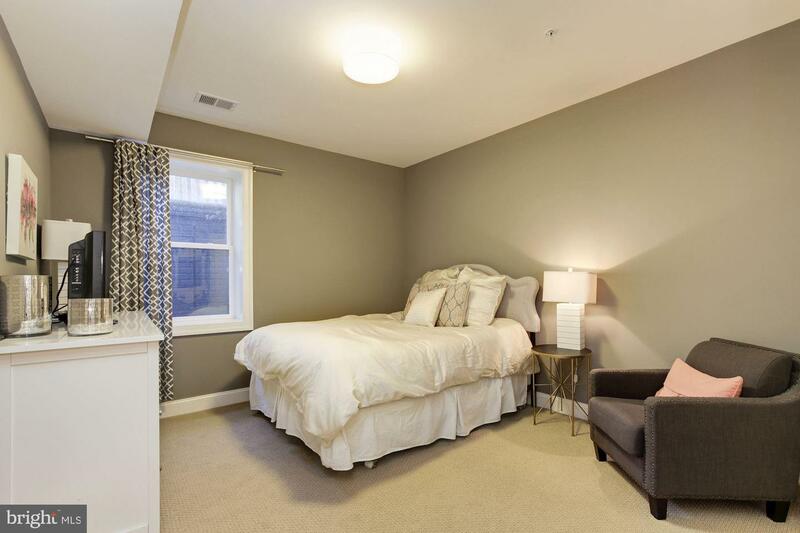 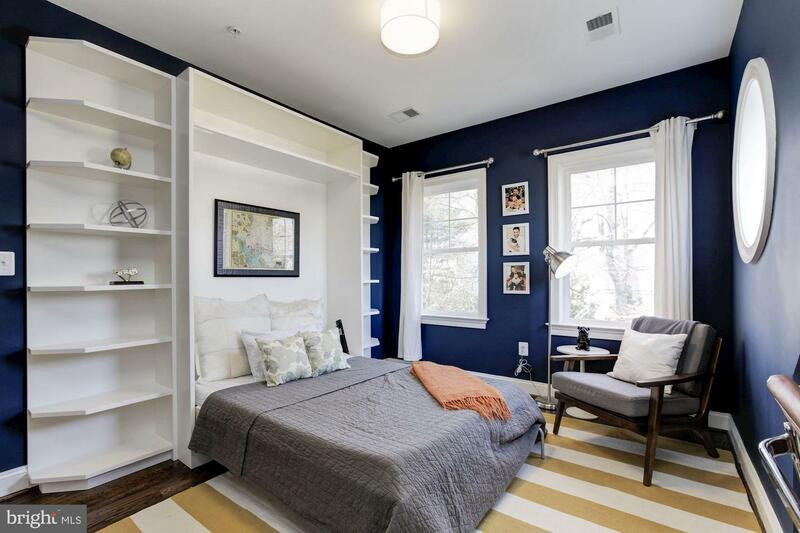 Located just moments from downtown Bethesda and walking distance to Walt Whitman High School! 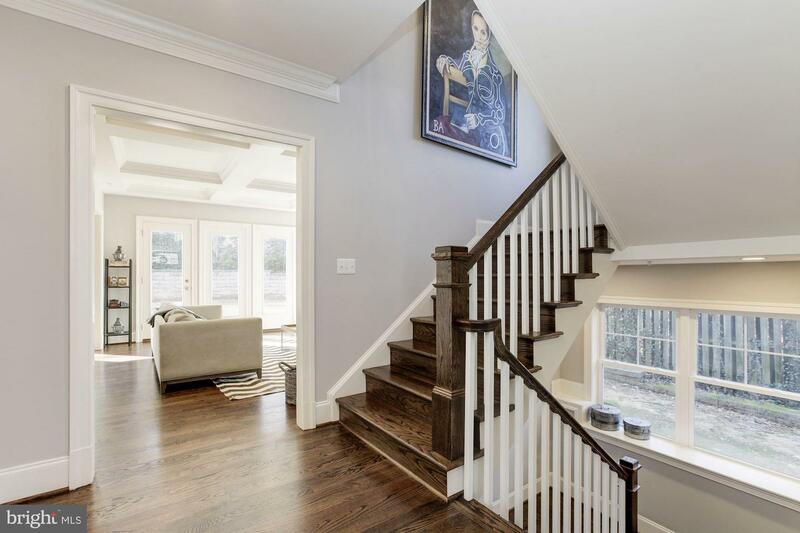 This home is truly picture perfect! 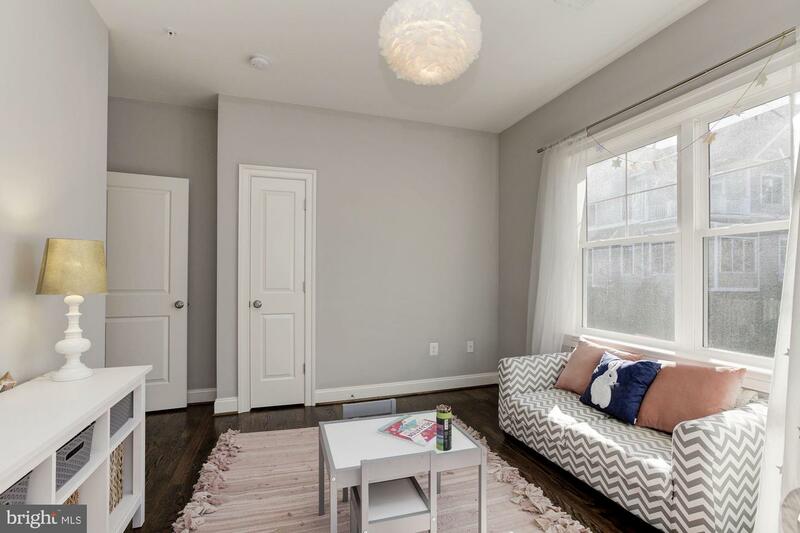 Open Saturday & Sunday 2-4pm!